There are many projects that require large waste containers for disposal of items that can’t be removed via curbside trash removal. Whether it be moving, spring cleaning, removing old furniture, cleaning out an attic, clearing yard debris, or a home remodeling project, ASAP Glenn Company provides the perfect solution for these circumstances. 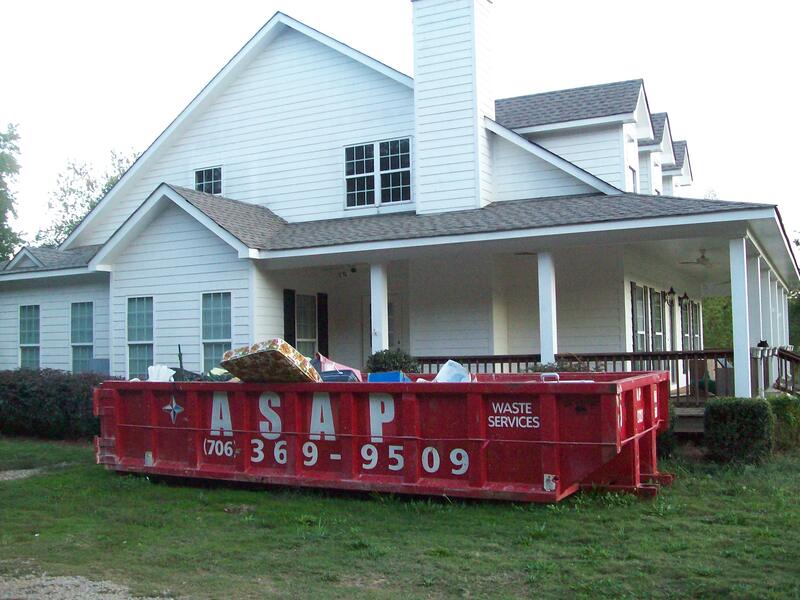 We offer waste containers in multiple sizes that will carry practically any debris that you may have. Not only does our name speak for itself, our clients speak as to our quick response time and the proficiency with which our field staff operates. We have multiple trucks and a large inventory of containers in order to be able to fulfill our clients’ needs. Because often these miscellaneous projects are done in areas with restricted space, not only do we have the large trucks and containers, but we also have smaller ones that allow us to fit in tight places to enhance efficiency. Our drivers are skilled at maneuvering around tight areas and are very respectful of our clients’ property. Upon delivery, the containers will be placed as instructed, or if there are questions regarding placement, directions will be confirmed. We understand that misplaced containers could cause costly problems. Our customers appreciate the helpfulness and patience of our office staff. They are always happy to answer questions regarding container sizes and different types of waste. Because every project is different, we look forward to speaking with you regarding your needs. Our containers are priced based on location, type of debris, size of container, and duration of stay. See below for more information regarding these variables or call our office for a price quote today. We pride ourselves in presenting all fees up front. You will not find any mysterious hidden fees when you receive you invoice! See our other services page for information regarding other waste disposal options and services we provide regarding demolition, waste manifests and various GREEN projects, etc..